Opening Day 2019 for the Great Falls Voyagers will be Friday, June 14th at Centene Stadium (7:00 pm). Season tickets, 10 packs and group outings are now on sale! With two separate picnic grounds along the right field line, large groups can enjoy a night of food and fellowship. 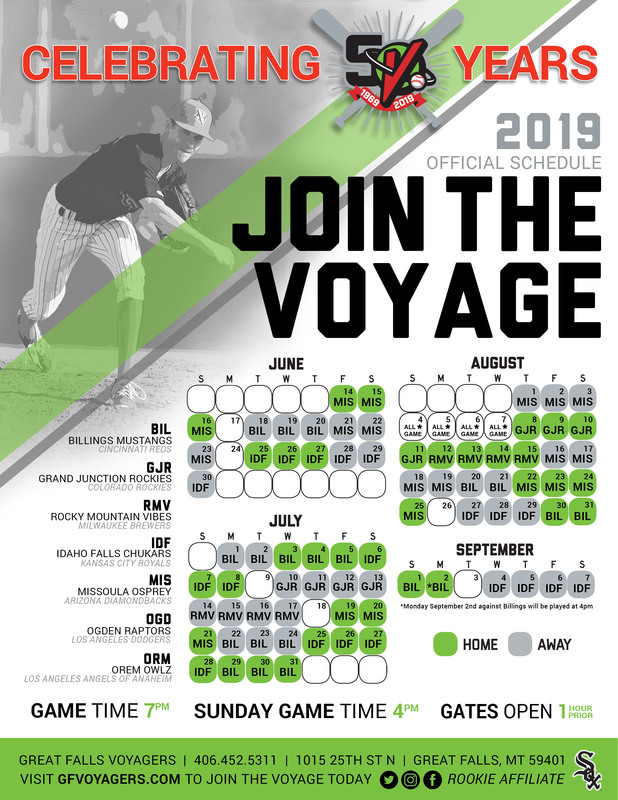 Purchase individual game tickets online for all 2019 Great Falls Voyagers home games. Our discounted ticket books allow for flexibility to let you plan a Voyage on your time. Whether you have an intimate gathering of a few or a large function of dozens, our suites offer a unique perspective. Purchase tickets to support your favorite Nonprofit and their 50/50 fundraiser. Unsure of your seat locations? We've got you covered. From concerts to giveaways, we've got your calendar of upcoming promotions at Centene Stadium here.